the Community Education and Enrichment Program for the Dalhart area. 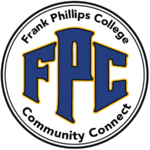 What is Frank Phillips College Community Connect? Community Connect is the Dalhart Community Education Program. Continuing education classes are offered in the community as well as online. 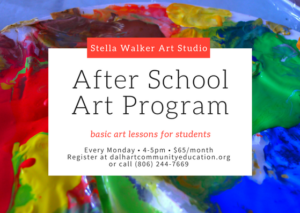 Community Connect includes classes in the arts, business, and education, as well as classes and camps for kids ages 18 months through adults of all ages. Community Connect would not exist without their generous support. Community Connect also relies on donations from individuals and businesses who help to pay for student scholarships and camps. Can I come to classes if I don't live in Dalhart? Absolutely! Classes are offered to residents of Dalhart and surrounding areas, their families, and visitors to Dalhart. Students will draw, learn calligraphy, work with macrome, and paint on a variety of surfaces; rocks, canvas, glass, plastic, wood, etc. ALL supplies are included in the class fee. New classes are added regularly! Check back to see other enrichment opportunities! Have a class idea? Questions? Contact Us!